Eat, drink and be spooky! Throwing a Halloween party? Have a look at this invitation! Easy to download, install the fonts and edit the information to your wishes. Easy does it! You will definitely amaze your guests with this DIY Halloween invitation! Looking for a different style invitation? 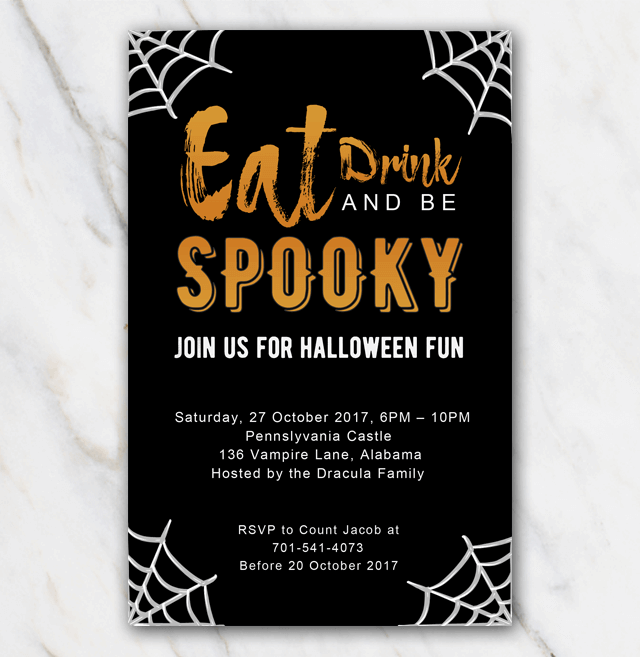 No worries, check out the other Halloween invitation templates. They are all 100% free of charge!